This strikingly beautiful breed has a delightful temperament combined with keen intelligence and equally acute independence of spirit. While Huskies are rarely the best choice for watchdog functions (because of their overwhelming instinct to run at any and every opportunity), Huskies have an ability to learn that has been described as “staggering.” The Husky’s natural instincts have evolved from its historical origins as sled dogs for nomadic Siberian tribes to become loving and playful family dogs. DNA analysis has found that the Husky is one of the world’s oldest dog breeds. SOLID 5% SILVER CONDUCTORS: Solid conductors eliminate strand-interaction distortion and reduce jitter. Solid silver-plated conductors are excellent for very high-frequency applications. These signals, being such a high frequency, travel almost exclusively on the surface of the conductor. 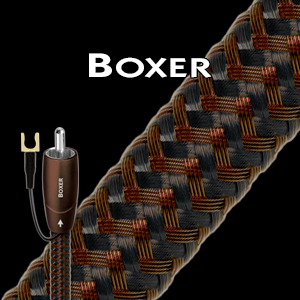 As the surface is made of high-purity silver, the performance is very close to that of a solid silver cable, but priced much closer to solid copper cable. 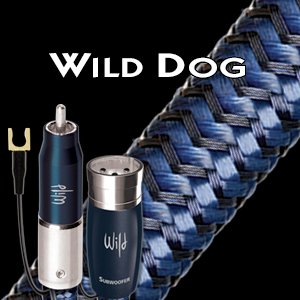 This is an incredibly cost effective way of manufacturing very high-quality subwoofer cables. POLYETHYLENE AIR-TUBE INSULATION: Any solid material adjacent to a conductor is actually part of an imperfect circuit. Wire insulation and circuit board materials all absorb energy (loss). Some of this energy is stored and then released as distortion. All of Husky’s conductors use PE Air-Tube Insulation because air absorbs next to no energy, and Polyethylene is low-loss and has a benign distortion profile. PE Air-Tube Insulation causes much less of the out-of-focus effect common to other materials. CARBON-BASED 4-LAYER NOISE-DISSIPATION SYSTEM (NDS): 100% shield coverage is easy. Preventing captured RF Interference from modulating the equipment’s ground reference requires AQ’s Noise-Dissipation System. Metal and Carbon-Loaded synthetics prevent most RFI from reaching the equipment’s ground plane. 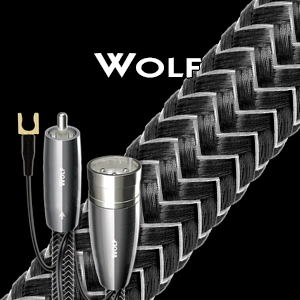 TRIPLE-BALANCED GEOMETRY: The three conductors in “Triple-Balanced” Husky cables ensure that whether prepared with RCA or XLR plugs, the positive and negative signals have equally low-distortion conducting paths. The 100% coverage shield is never used as an inferior conductor. 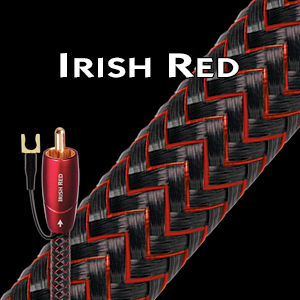 COLD-WELDED HANGING-SILVER DIRECTLY OVER PURE RED COPPER SYSTEM: This plug design enables a perfect heat-free connection between cable and plug. The connection between the plug and conductors is made using AQ’s Cold-Welded System, which provides a superior connection that ensures that the structural integrity of the conductor is kept completely intact. The Cold-Welded System refers to a combination of high pressure at the point of contact and the use of copper- or silver-impregnated paste. 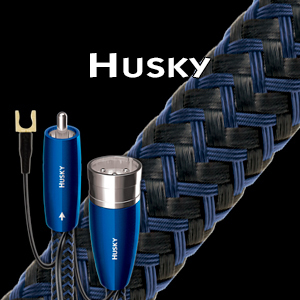 (Husky’s silver conductors get silver paste.) XLR plugs are also available.